Safe and Secure. 128-bit SSL. Thousands of CA firms across India have moved to TaxCloud. ● Multiple users of the same firm can work simultaneously. ● Work from anywhere, home, office or while travelling. 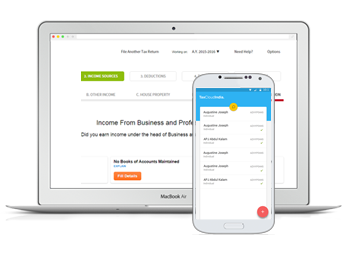 ● Easily manage & e-file 1000s of Income Tax and TDS returns. Thousands of CA firms are saving a lot of time. Automatic carry forward of losses. Prepare and File Income Tax & TDS Returns Online. "I am using TaxCloud for past 2 years, and personally found this one of the best TDS and I-T Return Filling software I have ever seen, highly efficient and very user friendly. "